Advance Trough Sinks Are Used For Laboratories, Studios, Workshops And More. 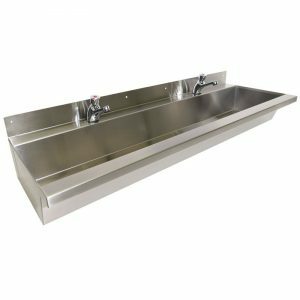 Advance Trough Sinks are made using stainless steel for lasting durability and resistance to corrosion. 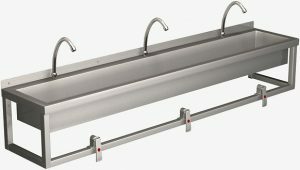 Sinks feature wall mount installation and are available in a variety of lengths. 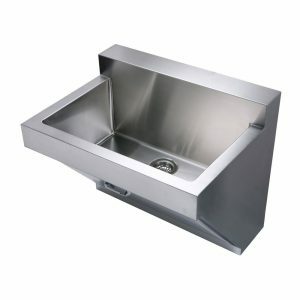 24″ model features one faucet hole. 48″ and 60″ models are made with 2 faucet holes. 72″ model has 3 faucet holes. 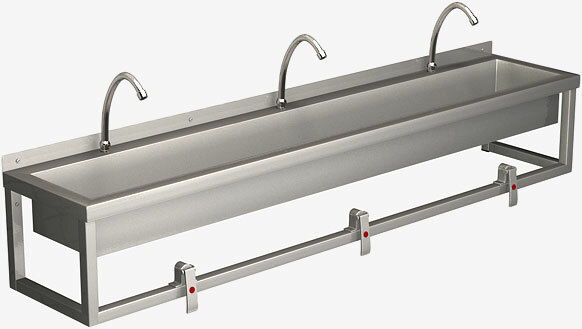 96″ model is made with 4 faucet holes. Knee Valve Assembly Kit sold separately.